Replacement Windows - Cooling tips for the summer. Replacement windows can make your home cooloer. Summer is around the corner, so make sure your windows are ready to keep up with the summer months. If your windows are new and have been recently replaced with eco-friendly, long-term investments like vinyl windows, fiber glass windows, aluminum windows, double-hung windows, casement windows, and to even accent or picture windows then you are either at an advantage or disadvantage then your next door neighbors. Either way you cannot go wrong with any of the window styles mentioned. You as a homeowner need to consult with a professional like Accurate Siding & Windows Inc. on what is your best reliable option for any weather resistant or any long term solution investments. Other options to add to your accent your windows and or to keep you cool are awnings that can reduce heat, having tree outside your house to provide shade and air, ceiling fans, painting your roof, and install operable shutters or external blinds. Other options are to cook outside to keep the heat out and not in your house and to get a ceiling fan. For these cooling tips Accurate Siding & Windows Inc. gives you a variety of options to find ways keeping your home cool during the summer months. The thing you should do is to start off with your windows and see if you have a budget to invest in replacing your windows or repair it. If you have a budget to replace your windows, then you should go all out only because you are making a long term investment, which will save you money down the road. If you are planning to repair your windows, then you must know that it will be a maintenance fee if the window restoration did not go to plan. Overall the way to cool down for the summer is to have an ice cold one, maybe some fresh squeezed lemonade and to sit in the shade or jump in the pool, while knowing that you’ve made an investment in replacing your windows. Accurate Siding & Windows, Inc., performs the following services using the finest products in the industry: Replacement Windows, Vinyl Siding, Decorative Vinyl Siding, Vinyl Replacement Windows, Double Hung Windows, Casement Windows, Insulated Windows, Alcoa Siding, ThermaTru Doors, Nailite, CertainTeed, Crane Siding, Simonton Windows, Dove Vinyl Windows, Andersen Windows & Doors, Fiberglass Entry Doors, Contractor Services, Siding Contractor, Vinyl Siding Virginia Beach, Vinyl Windows Virginia Beach, Home Improvement, Home Improvement Virginia Beach, Window Products, Replacement Windows, Entry Doors, Window Replacement Contractor, Window Replacement Company, Home Improvement Virginia Beach, replacement windows Virginia Beach. Accurate Siding & Windows, Inc., performs the following services using the finest products in the industry: Replacement Windows, Vinyl Siding, Decorative Vinyl Siding, Vinyl Replacement Windows, window installer, Double Hung Windows, Casement Windows, Insulated Windows, Alcoa Siding, ThermaTru Doors, Nailite, CertainTeed, Crane Siding, Simonton Windows, Dove Vinyl Windows, Andersen Windows & Doors, Fiberglass Entry Doors, Contractor Services, Siding Contractor, Vinyl Siding Virginia Beach, Vinyl Windows Virginia Beach, Home Improvement, Home Improvement Virginia Beach, Window Products, Replacement Windows, Entry Doors, Window Replacement Contractor, Window Replacement Company, Home Improvement Virginia Beach. Virginia Beach window replacement. window installation service for a cool home in the summer. One of the best window installation companies. Home window replacement virginia beach. Contractors in virginia beach	for window Install, replacement window window repair, glass repair and window glass replacement service. 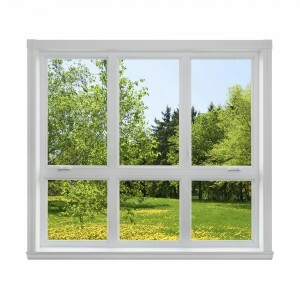 We are a window installation company and window replacement company. We are Virginia Beach contractors, window installers and window installation virginia beach. Virginia Beach window companies and replacement window companies.